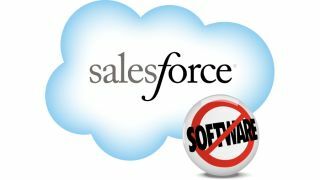 CRM giant Salesforce.com is aiming to give sales teams a boost with a new tool that that pulls data from multiple sources. Salesforce.com's Sales Performance Accelerator integrates the company's Sales Cloud CRM platform with targeted customer data from Data.com, and coaching and feedback tools from Work.com. According to the company, Data.com provides sales teams with contact and business data that helps them uncover and qualify new leads, in addition to keeping data clean. It is pulled alongside data from Work.com, which is also available on mobile devices and is focused on increasing the performance of sales teams through coaching, motivation and feedback on how to close deals. It is being offered for US$90 (around £59, or AU$97) per user per month for the next 90 days as part of a promotional deal. The price is set to rise to US$110 per month (about £72, or AU$119) per user per month once the promotion ends. According to Salesforce.com, early adopters include CareerBuilder, DocuSign and Enterasys.